I remember when I was a typical kid who ate and played as he pleased. I would eat sugary cereals for breakfast, grab a turkey sandwich on wonder bread for lunch, and then consume a massive plate of spaghetti and meatballs for dinner. What a simple, beautiful life I lived. Then one day my oldest brother attended a health class where he learned about whole grain bread and white bread. He stole my wonder bread and replaced it with this funny tasting “unexceptional” bread. The next day my father learned that high fructose corn syrup would be the death of his family and immediately started scanning our cupboards for the ingredient. He murdered my friend Tony the Tiger and replaced my bowl of Frosted Flakes with a small bowl of cardboard cutouts. One week later my mom’s friend told her that carbohydrates make you fat. In fear, she replaced our daily pasta dinners with a piece of bland chicken and kale. Over the last decade we have been slowly led down a path of carbohydrates being the bane of our existence. With the help of health care professionals, friends, and family, many are now stuck in the mindset that carbohydrates are the leading force in the obesity epidemic. Professionals have promoted information to educate us on good and bad carbs, simple and complex carbs, and high glycemic and low glycemic carbs. While I do believe much of this information was initially spread for improvement of our society, zealots have capitalized on this information creating a pandemonium. I’m here to do my best to sort out all the crap you have been told. I believe we need to go back to the basics and emphasize what the actual contributing factors for heart disease are. I am personally not buying the opinion that gluten, enriched grains, sugar, or insulin are solely responsible for heart disease being the most lethal threat to our nation. Before diving into the individual issues, it is important to understand what carbohydrates are. The word carbohydrate can be broken down into “carbo” (carbon) and “hydrate” (water). All this fuss has been about carbon, hydrogen, and oxygen with a one to one ratio C:H2O (1). Traditionally, you will see carbohydrates classified by their chemical structure. This tends to divide carbs into simple and complex (1). Simple carbohydrates are our sugars like table sugar, brown sugar, fruit sugar, milk sugar, or corn syrup. Complex carbohydrates are our starches like cereal, potatoes, vegetables, legumes, or grains. The most basic component of a carbohydrate is a monosaccharide. When two monosaccharides combine we get a disaccharide, which is also a simple carbohydrate. When several (sometimes thousands) of monosaccharides combine we get a polysaccharide, which is a complex carbohydrate or starch (2). All of these carbohydrates will eventually be broken down into glucose. The only exception is fiber which we will discuss in part two (2). Think about it like pouring chocolate syrup into milk. At first you have a solution of milk and a solute of syrup. The syrup is made up of a bunch of ingredients such as sugar, cocoa, water, and artificial flavors. All of these ingredients are the monosaccharides which make up our polysaccharide, chocolate syrup. Eventually you start stirring and stirring to speed up the diffusion of the particles. The end product will be chocolate milk. But in the case of carbohydrates it will be glucose. For a long time, this has been translated into thinking simple carbohydrates are “bad” and complex carbohydrates are “good.” The simple carbohydrates will be absorbed rapidly causing a spike in blood sugar. But, complex carbohydrates will be absorbed more slowly causing a lower increase in blood sugar. Sooner or later we realized that this explanation does not make too much sense since most foods that we consume are a mixture of both simple and complex carbohydrates. More on this later. Carbohydrates carry out many reactions in the human body. They play a role in the structure of cells, tissues, and organs and even make up a small portion of our DNA. Most importantly they are our bodies go to source for energy (1). This is why you see many athletes carbing up with loads of pasta before a big competition or event! That being said, carbohydrates are still not essential to the human body. This is because our bodies know how to make glucose from fats and protein (2). For this reason, people can see successful fat loss results from a ketogenic diet where carbohydrates are almost completely removed from the diet. I will not argue with the claim that a ketogenic diet is extremely effective for fat loss. But what I will argue is that a ketogenic diet has several drawbacks that may hurt you in the long run. First off, if you are someone who is physically active it makes little sense to go on a ketogenic diet. Carbohydrates are our main source of fuel and study after study has shown that athletes who consume a high carb diet perform better than athletes on a low carb diet (3,4). That said there are exceptions and certain individuals will perform better on a high fat diet. But this is not the normality (5). Secondly, when you give up carbohydrates you give up a lot of good food. Fruits and vegetables are an example of a carbohydrate that have insanely high amounts of micronutrients. Not all ketogenic diets include vegetables and fruits. How do you plan on supplementing this with your new diet? Think about all the times that you are socializing around food at a party or a dinner. Will you avoid these occasions? Will you bring your own food? Will you obsess about what food will be served at this gathering? Lastly, what happens when you break down and indulge in your cravings of chocolates, ice cream, cake and all that other wonderful food? Well, your fat loss plan will respond much differently than someone on a moderate carbohydrate fat loss plan. 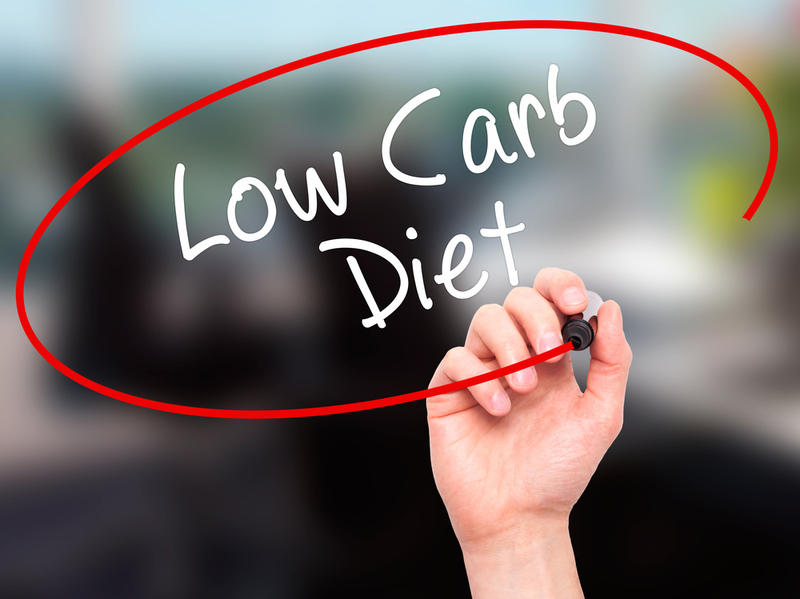 Being on a low carbohydrate diet for a long period of time can lead to insulin resistance (6). This is due to the changes in enzymes involved in burning fat and carbohydrates. Going on a ketogenic diet will increase the amount of free fatty acids in the body which will hinder your body's ability to transport glucose, phosphorylate glucose, and reduce glucose oxidation and muscle glycogen synthesis (7). Simply put, a ketogenic diet messes up our bodies ability to utilize carbs. Fat is a major source of energy that is converted to acetyl-CoA. Acetyl-CoA typically goes through the Kreb's cycle to produce ATP (our energy). But, when our body is only relying on fat and protein for fuel acetyl-CoA will be to high and be condensed into ketone bodies through ketogenesis. An elevation of ketones in the body leads to ketosis (8). This shifts our bodies preference for carbohydrates for fuel to fat. However, when you break your diet and eat carbohydrates you disturb this physiological shift. It is important to note that there are certain populations who may benefit from going on a ketogenic diet. A ketogenic diet may be beneficial in treating epilepsy, certain types of cancer, Alzheimer's, Parkinson's, and other diseases (9,10,11). However, this would be directed under a physician. If you are trying a ketogenic diet without a physician for weight loss I would like to propose another solution. Moving more and eating less! Want to lose fat? Eat less, move more! Remember how I said we couldn’t just label simple carbs as “bad” and complex carbs as “good”? Well the health community tried to find a way around this when they began studying the glycemic index (GI) of foods for diabetes patients. The glycemic index is a quantitative way to assess the changes in blood sugar from a variety of different carbohydrates. The increase in a person’s blood sugar is compared to the increase in blood sugar from consuming pure glucose. This value is then categorized as high glycemic, medium glycemic, or low glycemic (12). In this research we discovered that some complex carbohydrates promote similar rises in blood sugar as simple carbohydrates. For example, an apple is high in the monosaccharide fructose but results in a small but long rise in blood sugar. Whereas a white potato, which is a complex carbohydrate, has a large but short rise in blood sugar (2). 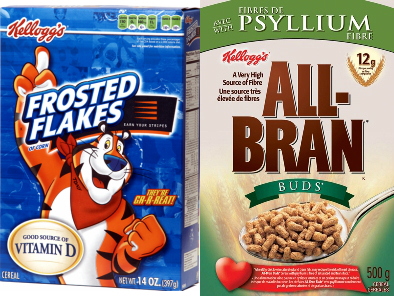 Did you know that corn flakes have a higher glycemic index than table sugar? When educated doctors urge their patients with diabetes to stay away from high GI foods the same patients will inform their friends and family to stay away from high GI foods. This leads to fanatics sweeping up the information and creating the new label of low GI foods as “good” and high GI foods as “bad.” Popular arguments for consuming a low GI diet have been the benefits of aiding in weight loss, increasing satiety, and improving insulin sensitivity as well as overall health (13). I don’t know why we love to do this but it is a common trend. Can’t food just be food? Do we really have to label everything? My problem with the glycemic index of food is that the food tested is consumed alone after a 12-hour fast (12). That is not how people eat food. We usually just ate 15-minutes ago and are consuming as much food as we can at once. Think about it. At dinner do you just eat a potato? Or do you eat some chicken, asparagus, and a potato with some butter and sour cream? Chowing down to a 8-oz sirloin, sweet potato, veggies, and a dinner roll at the texas roadhouse! What's the GI of this 72C22F59P combo? When you consume carbohydrates with protein, fat, or even fiber you will lower the GI of the meal (14). This is not nearly enough information to dispute the evidence for the health benefits of eating a low GI diet. Unfortunately for some, I do have more evidence to rebuttal against this claim. The results of human trials for consuming a high or a low GI diet have been inconsistent. I do feel the data is leaning towards the conclusion that it does not matter for the general population. One study that had particularly good validity took place at both John Hopkins Medical Institute as well as Brigham and Women’s Hospital and contained over 100 participants (15). This study contained four different diets. There were two high carbohydrate diets consisting of either low GI foods or high GI foods and there were two low carbohydrate diets that also consisted of low GI foods or high GI foods (15). Overall, this study found that the low GI diet compared to the high GI diet did not have a significant effect on improving insulin sensitivity, HDL (good cholesterol), LDL (bad cholesterol), or systolic blood pressure but did decrease triglycerides (15). Triglycerides in excess are not a good thing so you may be thinking that it is still best to consume a low GI diet. Oddly enough, when looking at just the high carbohydrate diet it was the group that consumed a high GI that increased their insulin sensitivity and decreased LDL when compared to the low GI diet (14). Now you may be thinking it is best to consume a high GI diet. I cannot explain why overall a low GI diet decreased triglycerides. Nor can I explain why the participants eating a high carb, high GI diet improved insulin sensitivity and decreased their LDL. This is only one study and we should not take too much meaning away from it. But, I should point out that this one study is in line with several other experiments that showed no significant change in HDL, LDL, blood pressure, triglycerides, or insulin sensitivity (16,17,18,19). These four studies challenge the evidence found in the study at John Hopkins and Brigham and Women’s Hospital that a low GI diet decreases triglycerides. Now I have a solid argument that we can stop stressing out about the long-term health effects of eating high GI foods like candy, white rice, and breads. For the sake of not being misinterpreted I would like to emphasize that I am not suggesting you completely ignore eating foods that have a low GI. I would hypothesize that this will lead you to eat more calories, less fiber, and less micronutrition which will ultimately lead to obesity, type 2 diabetes, hypertension, and hyperlipidemia. Sugar has been destroyed by popular perception in recent years. It is the new “addictive,” “toxic,” and “harmful” substance that we choose to focus on. But by telling people to avoid sugar we have not moved any closer to fixing heart disease in America. Sugar is everywhere in our diet. Is the only way to be healthy these days to just stop eating food altogether? I’m sure you have heard a lot about how our body responds differently to sugar than to eating any other carbohydrate. But the effects are more or less the same. Our liver will absorb most of the sugar we consume and any remaining sugar will be reabsorbed back into the bloodstream (8). Our bodies love to stay in homeostasis. So when the amount of sugar in our bloodstream rises our pancreas release insulin. Insulin is an anabolic hormone that will help pull the excess glucose into our muscle and fat cells. Our muscle and fat cells can then either use the glucose as energy or store the glucose for later. Since our bodies can only store so much glucose we will convert this excess glucose to fat (8). This is one of the main problems people seem to have with insulin. They call it the “fat storing” hormone. I have a problem with this because it gives insulin no context. Yes, insulin does decrease fat breakdown and increase fat production; but the insulin is only going to help store fat tissue if we are already full of glycogen. Glycogen is simply multiple glucose molecules that are stored in the body (8). If we’re not, the insulin is mainly going to pull the glucose into our muscles to use for later. While insulin production does have its drawbacks it is highly beneficial and is not inherently bad. When our blood sugar levels get low our pancreas will release the hormone glucagon. Remember how our bodies like to keep blood sugar stable? Glucagon does the opposite that insulin does. It is catabolic and breaks down the glycogen that our body has stored in our liver and muscles into glucose (8). So in that context I don’t really see what’s so goddamn special about sugar. While there are a multitude of studies that correlate excess sugar intake with obesity, heart disease, and type 2 diabetes, randomized controlled trials seem to suggest that this is due to the excess in calories that come with sugar (20,21,22,23). Back in 1997 the American Journal of Clinical Nutrition published a study that showed some surprising results. This study looked at the weight loss effects of a high sugar and a low sugar diet. The low sugar diet only consumed 58 grams of total sugar and the high sugar diet consumed an average of 166 grams of total sugar. This study showed no significant changes in weight, lipids, or fasting glucose (23). A problem I have with this study is that the authors discuss how both groups ate 1100 kilocalories a day. However, when looking at the data more closely it appears that the high sugar group ate 1087 kilocalories a day while the low sugar group ate 1156 kilocalories a day (23). This would lead me to hypothesize that the high sugar group would result in more weight loss. But, at the same time the high sugar group was slightly heavier than the low sugar group which would account for this increase in calories. In 2007 a literature review by Dr. Gibson found no negative effect on body composition when consuming 20% of your calories from added sugars (24). So if you eat 2000 kilocalories a day, it shouldn’t matter whether you consume 20 grams of added sugar or 100 grams of added sugar. Recently, there is even more of a scientific fight against the perception that sugar is somehow different than any other carbohydrate. In 2013 alone three separate meta-analyses were published to show weight gain from excess sugar intake is attributed to the excess caloric intake and not the sugar itself (25,26,27). Finally, last month (June 2016) another literature review was published concluding that “...high quality evidence does not support a unique link between added sugars and various adverse health effects when consumed at normal levels, particularly in isocaloric settings” (28). For some reason, scientific communities still banter about this topic. The Institute of Medicine and the European Food Safety Authority allow up to 25% of your calories to come from sugar. Based on the literature I have presented this is a fair guideline for the general public to rally behind. However, the World Health Organization does not recommend having more than 5% of total calories to come from sugar. While I respect the difference in opinion, this difference is simply too large. There is no reason to confuse the public to this extent. That concludes part one of The Ultimate Guide to the Carbohydrate. Next week part two will be published to cover carbohydrate timing, gluten, fiber, and practical recommendations! If you enjoyed this article please share and give it a like! 1. Committee on Diet and Health, (1989). Diet and Health: Implications for Reducing Chronic Disease Risk. 2. Jeukendrup, A. E., & Gleeson, M. (2010). Sport nutrition: An introduction to energy production and performance. Champaign, IL: Human Kinetics. 8. McKinley, M. P., O'Loughlin, V. D., & Bidle, T. S. (2013). Anatomy & physiology: An integrative approach. New York, NY: McGraw-Hill.